Volant’s newest Jeep Wrangler intake called the Periscoop, protects and offers unparalleled performance over any other Jeep air intake system on the market. Made from X-link Polyethylene plastic, the Periscoop protects your filter from moisture, dirt and allows you to make deep water crossings without stalling. Furthermore, it uses marine-grade, stainless steel clamps and silicone sleeves to ensure a tight and reliable fit. 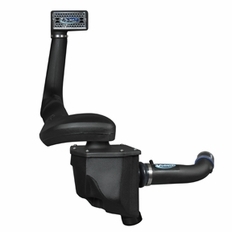 The Periscoop connects to the included Volant sealed air filter box and high-velocity air intake tube to allow your Jeep to take in more air for increased throttle response, power and fuel economy.